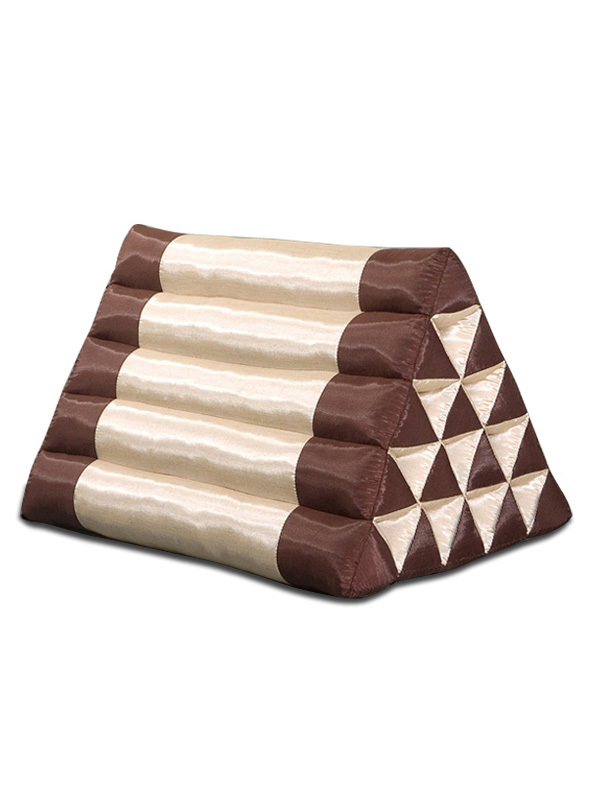 Two-tone Silklook Large Triangle. 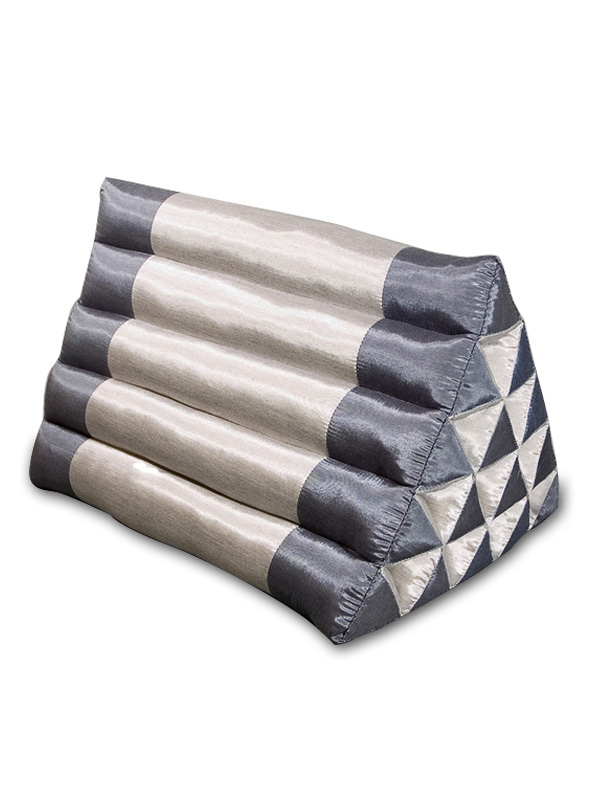 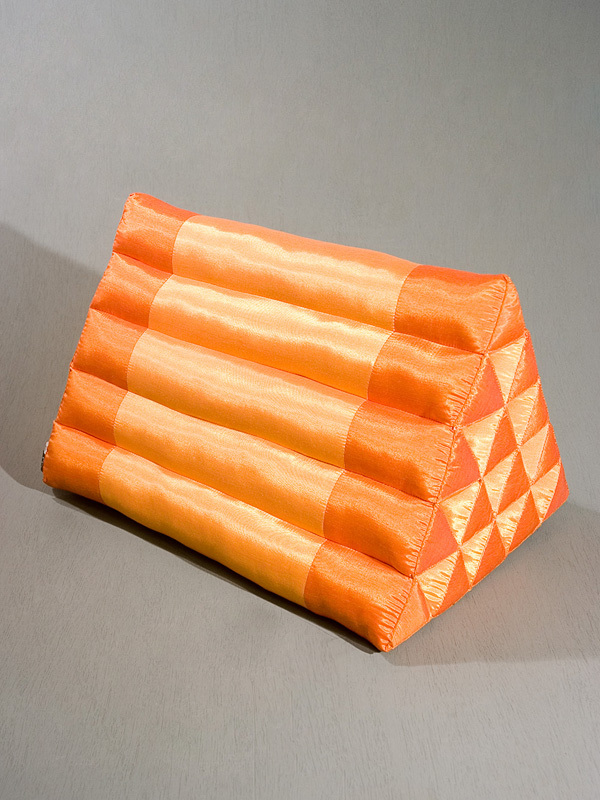 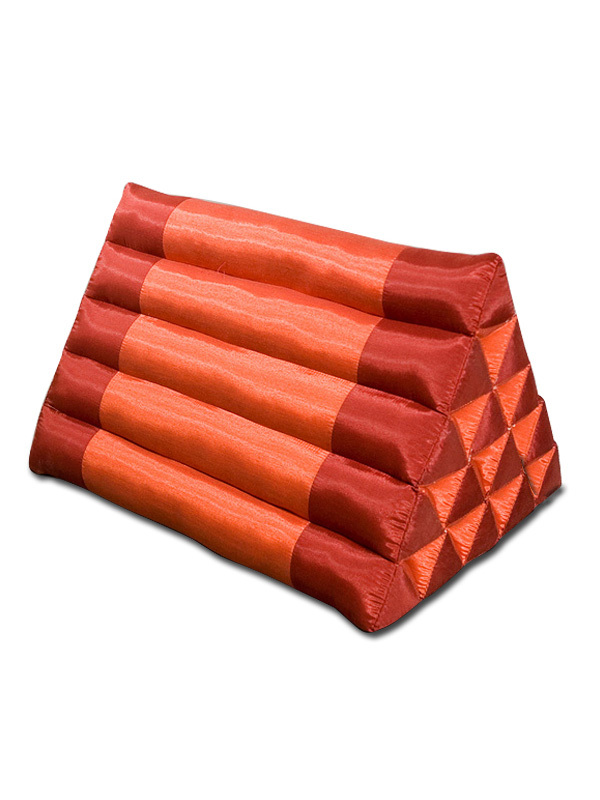 The popular Thai triangle fold-out pillow is now available in a new fabric and new color combinations. The non-traditional patterns add an eclectic touch to the Thai triangle cushion which is commonly found throughout Thailand - be it in a village, a temple, or modern house. 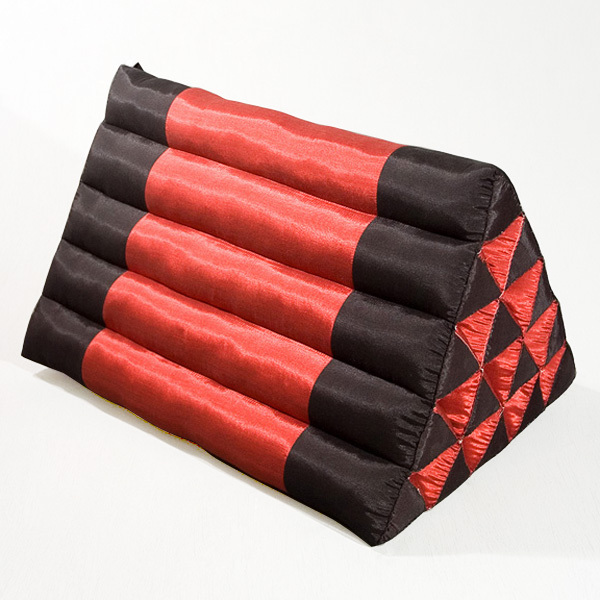 Great back support for reading or watching television.